Psycho Solo Diver – Online Diving Blog and more! » Dude, Where’s Our Boat? 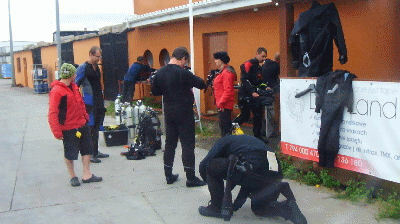 It’s Saturday, and the plan is for Igor’s group to do a deep, technical dive in the morning. In the afternoon, I’ll go with them for a recreational dive. I woke up around 8 AM, to get some coffee and walk in to town to use the internet. Everyone seemed to be either pissed, upset, distressed or in some kind of panic mode. I asked Kamil what was going on. 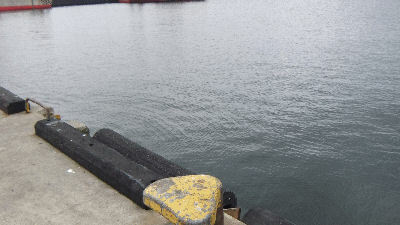 “We are having problems with the boat, it is not working,” Kamil said. Everyone was here, but no boat? I went to get more coffee and saw Kasia. “Kasia, what happened to the boat?” I asked. “The guy we rented the boat for the weekend from didn’t pay for registration and it got confiscated in the middle of the night,” she said. This will cost us some dives I’m sure. Love it…just goes to show you…SH_T happens everywhere! !